BP has signed the deal to sell its 50% stake in TNK-BP to Russian oil giant Rosneft. This can make the Russian state-owned enterprise the world’s biggest listed oil company. BP said on Monday it agreed to sell its 50% stake in the consortium to Rosneft for a mix of $17.1 billion in cash and 12.84 % of Rosneft, according to Interfax. 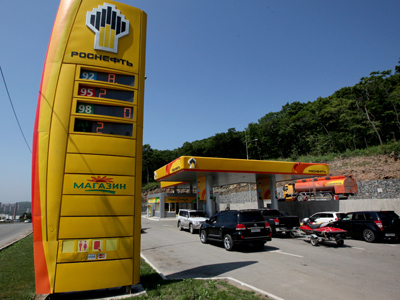 The British company is also planning to use some of the money it's reaped from the sale to raise its stake in Rosneft to 19.75%. Such a stake gives BP the right to claim a share of Rosneft's earnings, as well as production and reserves. Also, BP expects to have two seats on Rosneft's nine person board. The deal is due to be completed by the first half of 2013. “This is a good big deal which is important not only for Russia's energy sector, but for the entire Russian economy,” commented Russia’s President Vladimir Putin. The move demonstrates Russia’s willingness to cooperate with foreign partners, Putin said, adding that he hoped to build a sound relationship with BP. Rosneft President Igor Sechin has estimated the cost of the deal to consolidate 100% of TNK-BP at $61bln. "Taking Rosneftegaz's stock into account, this deal will require $61 billion – the third largest deal in the world," Sechin said during a meeting with Vladimir Putin. In this case the cost of the deal goes above the amount of the $57bln external debt Russia had after the split up of the USSR in 1991. In any case, the price Rosneft paid for TNK-BP was fair, according to Aleksandr Nazarov, oil and gas analyst at Gazprombank, talking to Business RT. “There’s no real market estimate of what TNK-BP is, because the market capitalization of TNK-BP holding, the listed entity, is just about $40 billion. At the same time you shouldn’t forget that the TNK-BP holding doesn’t include a 50% stake in Slavneft.” Nor does it take into account a Ukrainian refinery, as well as some huge international assets for which around $1bln was paid last year, Nazarov added. Given that Rosneft earned $10.2bln in net income during 2011, the Russian oil producer will need to finance the deal. About $15bln should come in a form of loans from international banks, with an additional $3bln coming from domestic lenders, Reuters quotes unnamed financial sources. 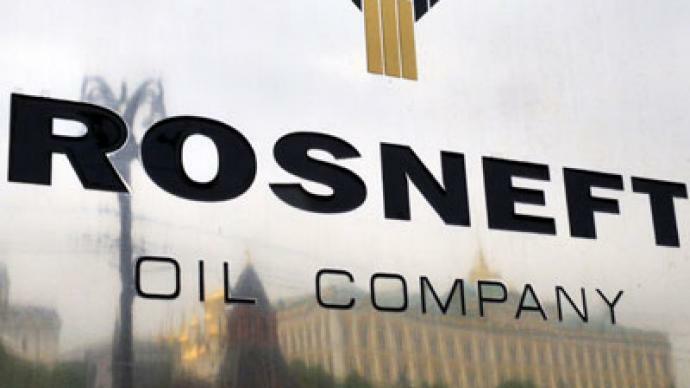 A bond issue could be another solution, as Rosneft is reported to have started taking investor applications for bond series, worth $650 million on October 22. Raiffeisenbank, VTB Capital, Gazprombank and Sberbank CIB should become joint organizers. However, “There is a point where raising debt would have a negative impact on Rosneft's credit rating,” a banker told RT, with another source adding that $20 billion was the most Rosneft can borrow without putting a strain on its ability to refinance later. Rosneft is the leader in the Russian oil industry and one of the largest oil and gas companies in the world. Its main shareholder is the Russian government-owned Rosneftegaz, which holds 75.16% of its stock. The company's Global Depositary Receipts (GDRs) are traded on the London Stock Exchange, with a current capitalization at $71.7bln. The TNK-BP deal comes at a time when Rosneft is undertaking large-scale offshore oil exploration in the Arctic in partnership with major international companies. Earlier this year Rosneft invited private oil companies to help take part in the operation. 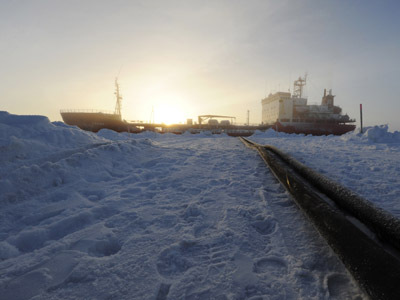 Rosneft’s proposal resulted in Arctic exploration deals with ExxonMobil, Statoil and Eni. However, the western companies only got minor stakes of 30% in the joint project and had to pay up-front investment costs. With these deals the foreign companies get access to the hydrocarbon reserves of the region, in return, Russia gets advanced western technology and investment.